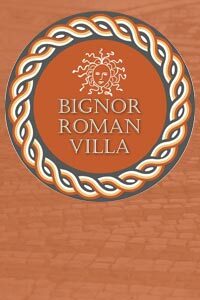 Please disregard any other opening times you may find listed on search engines - this is the official website for Bignor Roman Villa. 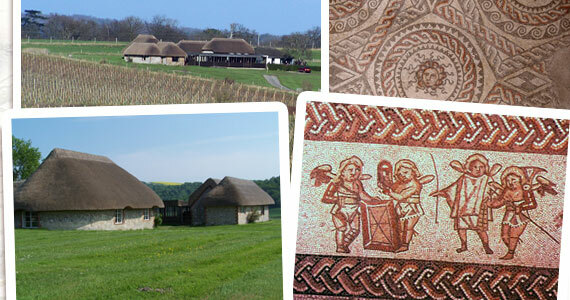 Bignor Roman Villa is the stunning remains of a Roman home with world-class mosaic floors in a spectacular Downland setting. Outside the Roman Villa, walk through the beautiful Nyetimber vineyard and explore the endless footpaths and stunning villages in the heart of the newly designated South Downs National Park. Is your group or society looking for speakers? If so, why not book one of our knowledgeable team to come and visit your venue to talk about Bignor Roman Villa, its history past and present. Please contact us at [email protected] or call on 01798869259 to discuss your requirements or to make a booking. If you have an interest in history and the Romans, or have a love of the South Downs and have some spare time, the team at Bignor would love to hear from you. Opportunities for volunteers are varied; train to become a visitor guide, customer service in the shop and tearoom, assistance with educational visits and help at special events. Call or email for more information. Dogs are not permitted in the museum or tea room. However, they are welcome in the carpark and picnic area. Fresh water and shade is available in the picnic area. Please note there is no shade in the carpark. If you require clarification please call prior to your visit. We ask that you clean up after your dogs. The Bignor Roman Villa Charitable Trust (Charity No. 1158379) was established in 2014 exactly 200 years since the site was opened to the public to preserve, protect and improve for the public benefit Bignor Roman Villa and the Trust's comprehensive collection of archaeological remains. The trust operates the Museum and the site of the Scheduled Historic Monument No. 73. My ancestor, George Tupper, could have had no idea that the stone he struck whilst ploughing in 1811 would lead to the discovery of one of the largest villas in Roman Britain. Today Bignor Roman Villa is one of the best known Roman sites in Britain and is still managed by the Tupper family under the control of the Trustees who continually strive to maintain the site for the education and enjoyment of all who come to visit. We welcome our new charitable status and look forward to the next 200 years as custodians of this unique and important piece of British heritage. to advance education regarding the historic and current importance of the Bignor Roman Villa site. Bignor Roman Villa will be running exciting family friendly events throughout the year - see our events page for updates!